AddressThe address for this sale in Saint Clair Shores, MI 48080 will be available after 9:00am on Friday, April 26th, 2019. Cash or approved Credit Cards accepted. Bring help to load large items. Not responsible for accidents. A neat over-sized chair that "hugs" you -- big enough to curl up on. 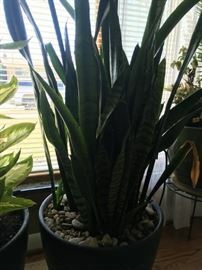 This is one of several mature plants -- they would cost a fortune at a nursery -- good values. 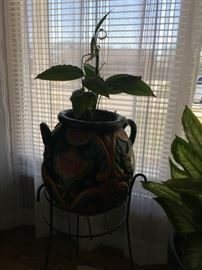 Another mature plant in a super planter. 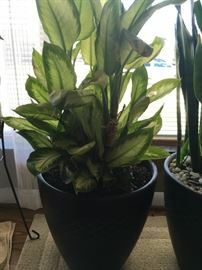 Another plant looking for a home. 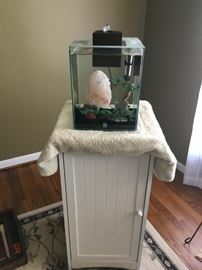 This is an aquarium with a couple of fish -- complete with filter system. One of three glass tables on wrought iron. the second matching table . 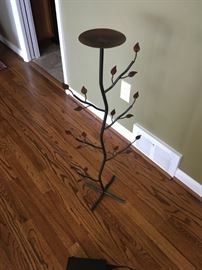 . .
A very neat looking plant stand. 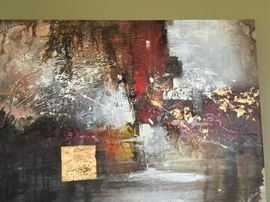 I love this signed abstract oil. 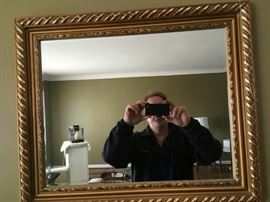 a large beveled-mirror -- goofy guy in the picture free to good home! 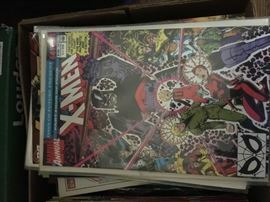 One of dozens of mint comic books! Individually priced or one price all! 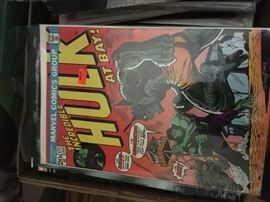 One of dozens of "mint" comic books -- buy individually or by the lot.
. . . complete with office chair! This is the manual for an HP Photosmart 8000 available in the sale. 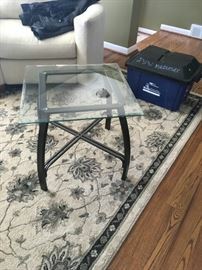 A beautiful dining table and chairs -- solid -- serious buyers only! The nice contemporary matching buffet. 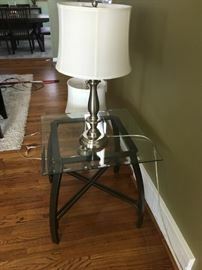 One of a couple nickel-colored lamps. A nearly new Craftsman miter saw. A nice nearly new pancake compressor. A very practical portable generator -- never used. A nice BBQ grill just in time for the season. Every garage needs a dolly. A Craftsman mower -- as is -- needs mechanic! A Blue Rhino portable heater. A nice mountain bike ready for some fresh air!
. . . a snow blower -- be forward thinking for once! This is an excellent Kamp-Rite tent.
. . . a Craftsman leaf blower just in time of for spring cleaning!
. . . a Craftsman weed trimmer -- just in time . . .
. . . a nice hose caddy! One of several pieces of nice art -- an old portrait. One of two nice nudes.
. . . the second! This is a great find! An original Lincoln assassination from the New York Herald -- it has been in this family for generations. I love this piece -- Lincoln and his cabinet! A wonderful example of a Victorian marble-topped lamp table.
. . . a nice pine chest of drawers with glass knobs. 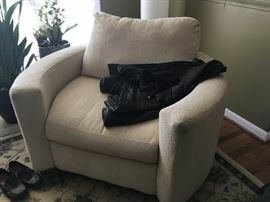 I love this mission rocker -- just needs a little TLC.
. . . a great abstract art piece.
. . . another abstract art piece. A primitive ironing board -- perfect for displaying your period pieces.
. . . a nice print.
. . . a nice silhouette.